I'll keep this brief, with links to the recipes and pictures of each. I hope you had a wonderful Thanksgiving! Breakfast: Pumpkin Butter Sufganiyot with Cinnamon Sugar. I used Joan Nathan's recipe from TabletMag, but made it more Thanksgivukkahish with the pumpkin butter and adding cinnamon to the sugar. The rest is from dinner! Hungarian Mushroom Soup, recipe from The Artistan Jewish Deli at Home. Sweet Potato-Rum Kugel with Browned Butter-Pecan Topping from Buzzfeed - I didn't have bourbon, so I used rum. I decided it was close enough. Kulebiaka from Mastering the Art of Soviet Cooking by Anya Von Bremnan. 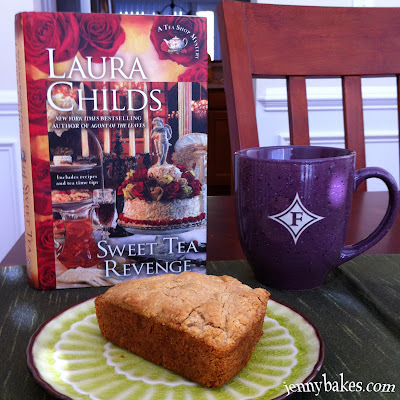 I wanted to make this recipe since I read this book. I figure a lot of Jewish people have Russian heritage, and called it Thanksgivukkah worthy. This is a rich pastry stuffed with fish, mushrooms, herbs, rice, and boiled eggs. So delicious! Cranberry Applesauce from Buzzfeed - To be honest, I'd intended to make the latkes to go with this, but just completely ran out of steam. To be fair, we had way too much food already. This is a nicely tart applesauce! Pumpkin Cheesecake - Recipe from the Almost Home Tearoom Cookbook, where I used to work. Previously featured in JennyBakes in The Curse of the Pumpkin Cheesecake, it worked out a lot better this time around! Cheesecake has a lot of Jewish connections, so I just made a Thanksgiving flavor. Coffee + chocolate + orange has to be the best flavor combination in the world, although I might make an exception for chocolate + peanut butter or chocolate + cinnamon (I'm sensing a theme.) Starbucks used to have a drink called a Mocha Valencia, which was this blissful combination of mocha and orange. I had an even more favorite version at Coffee People, a place in Portland that has changed hands too many times since the time I loved it - there, they had a Cappuccino Borgia that was a similar flavor combination. When I looked through One Bowl Baking by Yvonne Ruperti, the recipe for Mocha Valencia Cupcakes really jumped out and grabbed me. She had a similar story - she bemoaned the loss of the Mocha Valencia at Starbucks and tried to recreate it in a cupcake. I had to make them too. 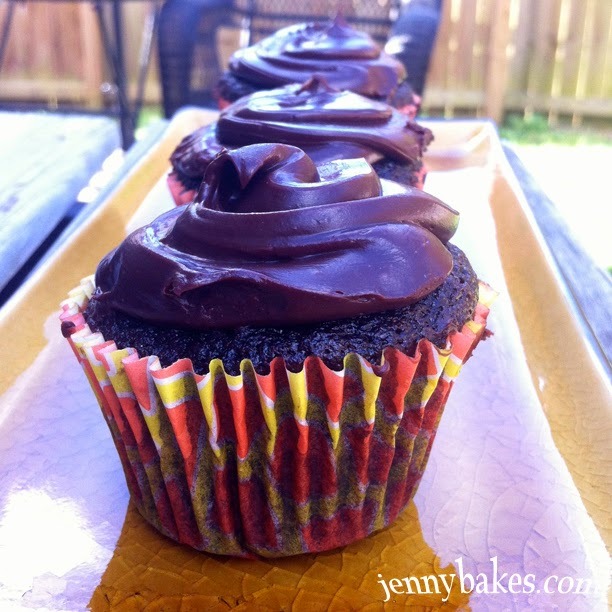 The cupcakes are a moist chocolate cake with coffee and orange, and the topping is a rich ganache with all the same flavors. They were a huge hit and I will make them again. Yvonne Ruperti has worked as a recipe tester and developer at America's Test Kitchen and Cook's Illustrated, and these skills come across in the entire book. Highly recommended!